The following morning i went back to town on a search for two crazy Germans. Niall had told me that they had floated into town a week earlier on a raft! 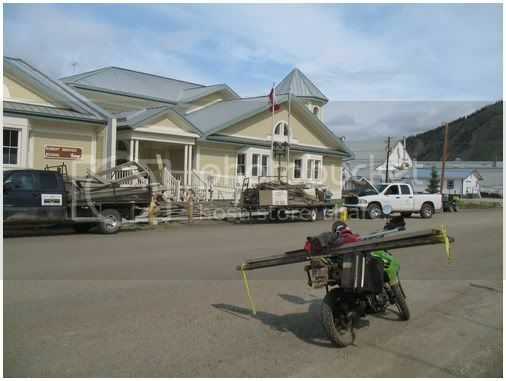 They had come from Whitehorse within Canada and had finished their river journey in Dawson City. 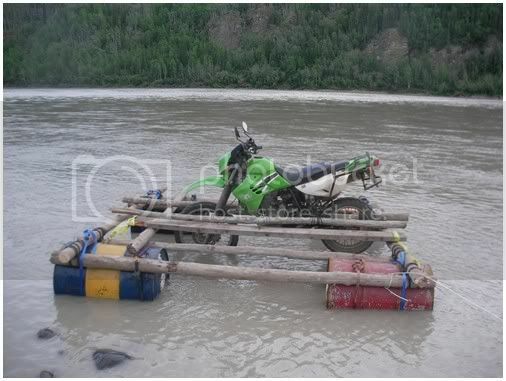 The immediate thought was that they might have a raft for sale or at least some more knowledge on the task at hand. I woke Adrian from his beauty sleep in one of the old buildings in town. 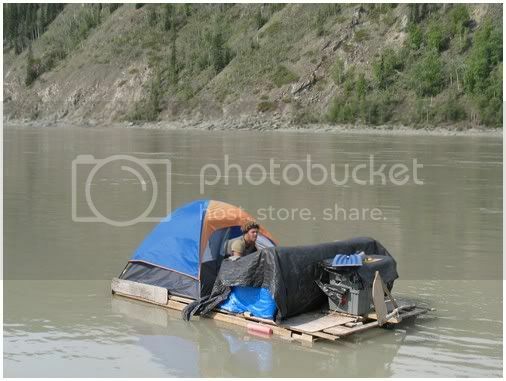 We were later joined by Felix who was still making good use of their raft as a bedroom. It was built with wooden pallets and styrofoam and had successfully housed them for 17 days on their journey. 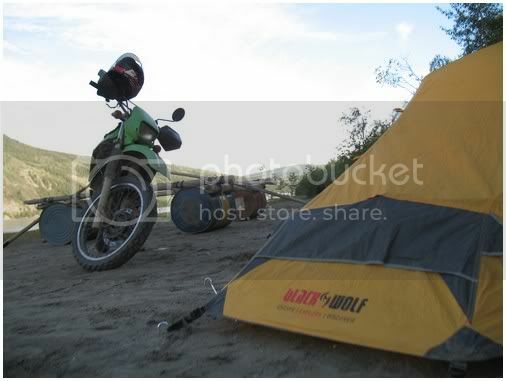 After a chat over the Soccer World Cup finals we concluded that Felix would need the raft as accommodation for the next week or two so I would need to build my own. 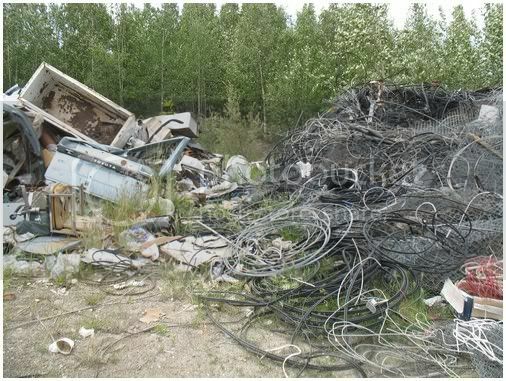 We decided that the best move from here was to explore the town dump, the boys knew where it was so we headed out of town to see what it offered. I chose the best from the best, it was all free! 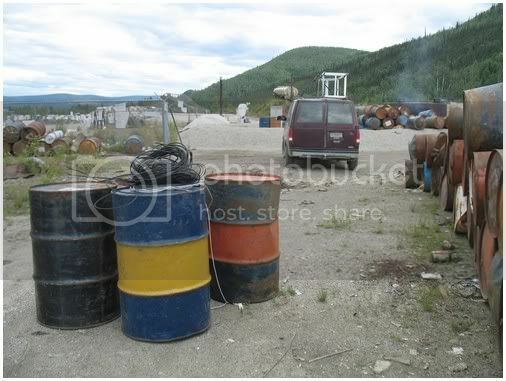 Then began to ask the dump regulars if they would help me in transportation for a fee. When i was beginning to give up hope. 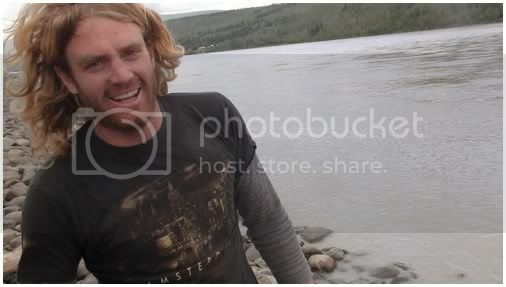 Yan, an true Dawson City character, was my savior. 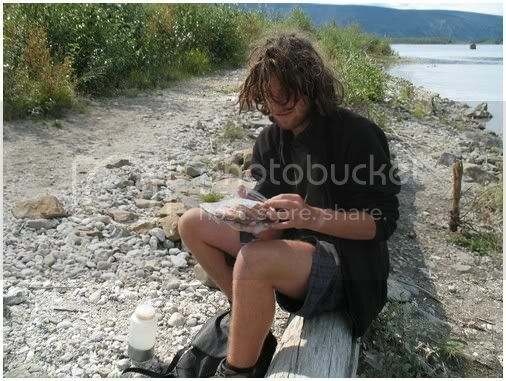 He agreed to take my collected materials across in the ferry to the waters edge on the opposite bank of the river. We took his goods to his place first and i asked if i could borrow an axe for the following days. 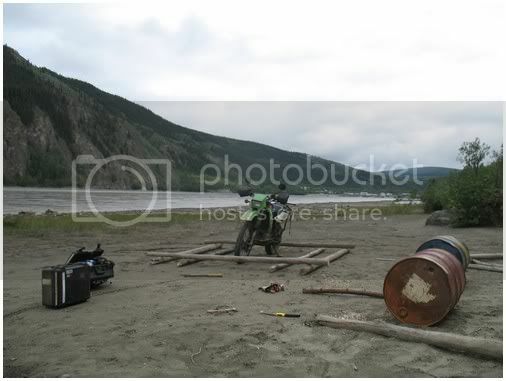 He agreed, and an hour later, i was into the construction phase, chopping up drift wood delivered by the river to my chosen spot on the Yukon banks. By nightfall i was happy with my progress and cooked early and went to bed. 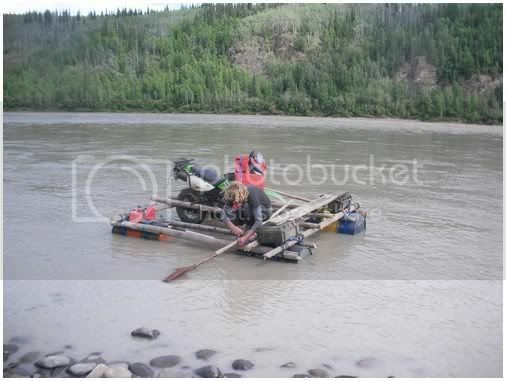 By morning i had a good idea of how i would get the bike on the raft but had decided that the cables wont good enough to keep the barrels in place. 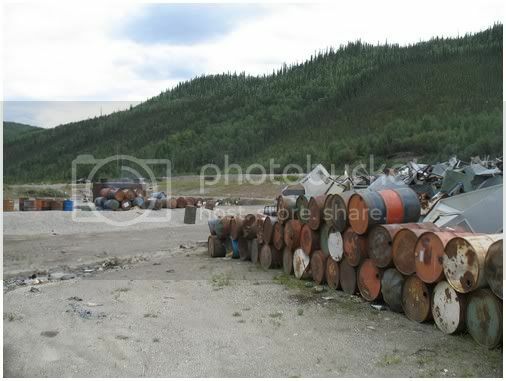 I went back to town to return the axe, buy some supplies, wake the Germans and find some straps to secure the barrels. Yan took the axe back but also gave me a life jacket and paddle he had collected on previous dump excursions. He also gave me some straps on loan that i promised to post back when i was done with them. 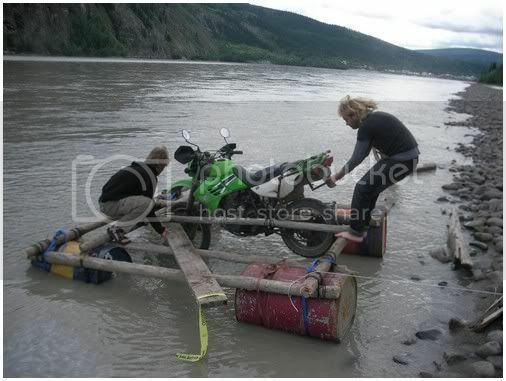 Adrian and Felix came to help with the launch, we dragged the raft into the river and tied it off. 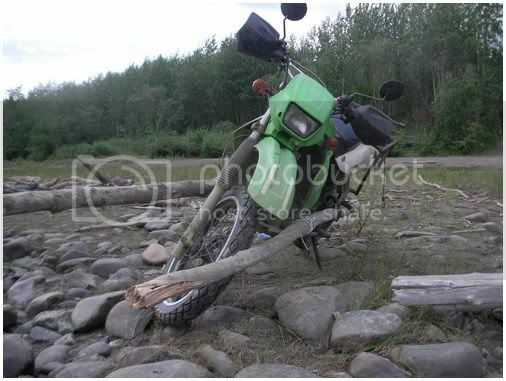 Then i lashed some logs to the side of the bike and used a plank for a ramp from the bank to the raft. The loading was fortunately eventless, and what a sight it looked!! It was about 2pm in the afternoon when the guys pushed me out, i quickly realised that my rowing system didn’t work and it was now in the rivers hands.